Home » IEP Advice for Parents » 6 Reasons you should hire a Special Education/IEP Advocate. “$2000?!? !” my husband exclaimed. “Do we really need this for him? “Become an IEP/Special Education Advocate!” the flyer said. We were looking at a brochure that my son’s school had sent home to parents. It was a 12-week course on how to become a Special Education Advocate. It looked thorough. And, Kevin was a toddler. I’d get a good 20 years out of this investment. I was staring down 20 years of IEP meetings. For me, this was an accidental career. I talked my husband into spending the money ($2000 is not chump change to us!) and I got some scholarships and did some volunteer work to bring down the cost. As it turned out, the bad economy and recession hit, so I was out of a job. Thankfully I was already half-way through the training when that happened. My volunteer hours turned into a volunteer position, which turned into a part-time position, and here I am. A special education advocate with her own home business. I have met many fabulous families along the way, and the questions about advocates are some of the most frequent ones I encounter. Over the years I have done 4 or 5 blog posts, but today I am combing them all into one. So, get a cup of coffee, and stay for a few minutes. This should answer all your questions about IEP/Special Education Advocates. When you hire a good advocate, it is NOT just about having someone sit with you in the IEP meeting and someone who knows the IEP process. You are paying for every bit of information that is inside my brain, as well as the dozens of advocates who I network with. 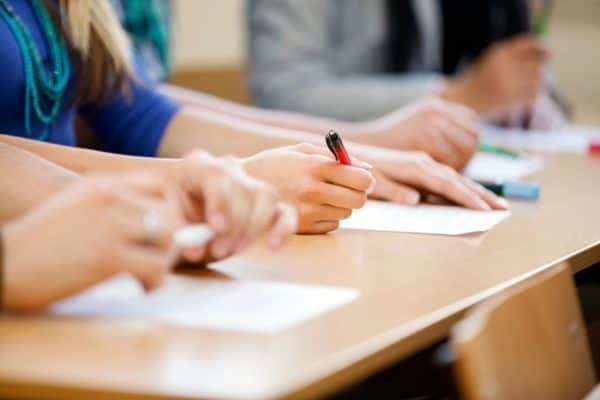 You are paying me to know who is the best person for your child’s IEE, and which IEE evaluators are going to find exactly what the school districts want them to find. You are hiring me to bounce ideas off of other advocates, as we develop a strategy for your child’s situation. You are paying me to know just about every APS within 50 miles of here, and which ones you should consider for your child. You are paying me to know the history of the school district, to know what they are capable of, both good and bad. And how to effectively use the IEP process, of course. It really grinds my gears when I hear someone say “$500 for an IEP meeting? Pffft, no way.” Because I will spend easily 10-20 hours on your child before we ever get to that meeting. I will review records, I research options for you. I write letters for you. And then I attend the meeting and do the follow up for you. After I pay taxes and child care for my own children, I am barely breaking even. It’s a tough pill to swallow, I get it. You shouldn’t have to pay an advocate $500-$1000 just to get your child what he is federally entitled to. I know the frustration. Just don’t take it out on the advocate, k? We genuinely wish that our jobs would become extinct. But for now, they are necessary. I’m not judging anyone’s family situation or household budget or what you can or cannot afford. I just find many families who really could come up with $500 or so for an advocate, but say they cannot. The system is stacked against low and middle-income families, that is for sure. Potential client: We cannot afford an advocate, so we’re just going to keep on going on our own. Me: Sorry to hear that, call me if you change your mind. Then, 6-12 months later, I get a desperate phone call, maybe on a Sunday, maybe even on Thanksgiving. Same previous potential client: We really need your help! ‘Name’ has now been arrested/suspended/302’d. And then, because the case is so much more complex, it’s more time consuming and more expensive, and perhaps now they even need a criminal attorney. It’s a sacrifice. The money that you are spending on an advocate is going to take away from something else. I certainly wish it wasn’t that way. But sometimes we are left with no choice. What parents need to know about Special Education/IEP Advocates. First, a good and common question I get is, “Do I really need one? 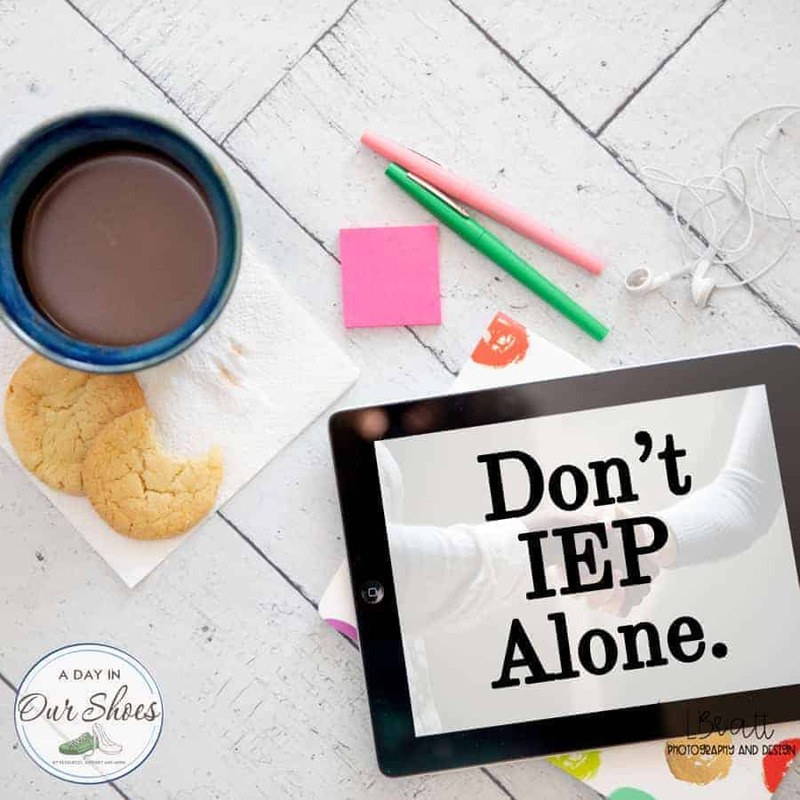 Someone who knows the IEP process better than you, including how to do a thorough record review. A good advocate has connections and knowledge about programs and services in your area that you may not know about. Good advocates will steer you away from Due Process but know their limits. And they’ll know when you have no other choices and will connect you with attorneys. Someone to act as a barrier, be the proverbial “bad guy” allowing parents to remain more neutral in confrontations. A note taker, bounce around ideas, another set of eyes and ears. Temper the meeting-some staff are more professional with others around. So now, ask yourself, what are some of the reasons you think that you don’t need an advocate? Things are good with my school right now. I’m a teacher/in the education industry, I know this. No one will advocate better for my child than I will. There might be some others. But let me address those five reasons that many parents think that they do not need a special education advocate. Things are good with my school right now: Of course, they are! Things are always good….until they are not. Maybe that “not” will be erected at this meeting. What if it isn’t ok? What if they would have come to the table with the suggestion that they want to move his placement or remove some services? For you folks with high-functioning kiddos, what if at the meeting they stated that they believe that your child no longer needs/qualifies for an IEP, so let’s move him to a 504. And there you are, all alone. No moral support. And now the rug has been ripped out from underneath you and your head is swirling and you are struggling to get concise, meaningful thoughts out. What then? My spouse is there: Not bad, and what most parents do. But, truth be told, I’ve seen way more dads than moms “lose it” at an IEP meeting than moms. And by it, I mean their temper. Moms cry, dads yell. You need someone who can listen and not get emotionally involved at that moment. I’m a teacher/work in the industry: In IEP meetings, you have to step out of your comfort zone. You have to question college (and Masters/Ph.D.) educated people on their recommendations. Call them out, make them qualify what they are recommending. Some take offense to this. Do you really want this to be the time you have to go face-to-face with a colleague? I wouldn’t. No one will advocate for my child better than I can: You’re probably right about this. But, lots of people know the IEP process better than we do. Or even if their knowledge base is the same or less, still another set of eyes, ears, and ideas. I’ve been really pleasantly surprised by some out of the box thinking and ideas in IEP meetings from people who have little special ed knowledge. Sometimes a new perspective is all that you need to unlock some successes. I cannot afford one: A very valid concern! Which I will address below, stay tuned. Now you’re thinking, “Ok, great, you’ve convinced me. Now, where do I find one? First, if you have no desire to become an IEP/Special Education Advocate, you just want to hire one. There are a few places you can look. Some professional organizations like COPAA maintain a list on their website. I have one here as well. More info in that link above, I’ve done a whole post about it. COPAA offers a training program. The College of William and Mary offers a training program. Each state has at least one Parent Training Center for families with disabilities. Find yours and see what workshops they offer. Is there a national certification for special ed advocates? Yes, and no. The career of “IEP/Special Education Advocates” is a relatively new one. Remember, IDEA is only 40 years old. So it’s not a profession that has been around a really long time. There are a few organizations that offer formal training, and some of them call it certification. I often use the analogy that it is sort of like lifeguard training. You can become a lifeguard by the American Red Cross, YMCA, Boy Scouts of America, Ellis and Associates and many other options. And people in that field have opinions on which certification is the “best.” Special ed training is like that, but too new. There is not one program that has emerged as the undeniable ‘best’ leader in training IEP special education advocates. Some people say Wrightslaw, some say COPAA. Does that make sense? I am familiar with many of the programs and have completed one myself, and it is good training. So what training should I look for in a special education advocate? They must have had some training. Every state has at least one Parent Training Center for parents involved in special education. There are multiple webinars available online. Every state has a Protection and Advocacy agency that often provides training, or at the very least, printed information. Groups like Decoding Dyslexia and others host workshops and trainings, availability varies by state. But training is available, so I personally would shy away from an advocate who says “well, I’m all self taught because there just are never trainings in our area.” Sure, easy for me to say that from metro Philly. But there are a zillion webinars an advocate could do. Where can I find a special education advocate? First, contact the agencies I linked to above, that’s a good starting point. Call your state’s Arc and ask. If your family has mental illness issues, ask around in groups like NAMI. If it’s dyslexia, look up decoding dyslexia. Ask your local children’s hospital if they have support groups for your child’s condition, and ask there. In Pennsylvania, we have these things called Task Forces which can be a great place to start because they are parent led. This might also be a good time to call in favors–ask your best friend, your child’s godparents, to step in and see you through this–learn the IEP process with you. It gives you an ally and is no charge. What questions should I ask an advocate before hiring them? How long have they been doing this? How did they get started? Are there any districts that they won’t work in, and why? What is their success rate, and how do they define success? After hearing your story, what is their strategy or plan for you? What are their fees and what does that cover? Have they had similar cases to yours? How long do they expect this to take, before it is likely resolved? Do they have any references in your district who you could call? As this moves forward, what does the advocate expect from you? So how much does a IEP/Special Education Advocate cost? It can vary. Some areas have support groups set up and “parent buddy” programs. It’s more about morale and support, though ideally your mentor should have more knowledge than you. Those programs can be free or just a minimal fee to belong to the group. Some advocates charge $200-$300 hour or more. And everything in between. When you first hear an hourly fee, I would ask the advocate how that time is going to be tracked, and, about how many hours she expects your child will need. no community involvement–no volunteering, doesn’t belong to any groups, etc. Ok, I hired an advocate, now what? Ask them. Ask them what they want you to do. Respect boundaries. Unless directed otherwise, only contact them during normal business hours. I once had a client texting me her concerns on Thanksgiving. Do not communicate with the school unless you’ve discussed it with your advocate. They need to be kept in the loop of everything going on. Get your data that you have and make copies for them. You have to be an involved, active and professional participant in this process. An advocate will help guide you through the IEP process, but no one knows your child like you do. This is not a matter of “Well, I hired an advocate, so now they do everything….” You still will have things to do, calls to make, emails to send, but you will be doing it with their guidance and knowledge. Go for the free consultation (most offer them). Don’t gather up boxes and boxes of files. But do a bullet pointed list of your child’s story and what data you have. Go for the free consult. It may not be as much as you think it’s going to be. Ask if they can take you on pro bono. If you have a slam dunk of a case that they think they have a good chance of winning, they can often recover the costs from the district (attorney only). If it’s a good risk, they may take you on. Ask if you can set up a payment plan. Be honest about the maximum amount you can afford to pay each month and see what you can work out. Consider a trade. Why not? If your husband is a contractor, see if you can trade services. Do you or your spouse teach music? art? anything? What about house cleaning services? Hey, think out of the box–there are lots of things I wouldn’t do under normal circumstances, but hey, when it comes to my kids. A trade is unusual, but you won’t know until you ask. See if your city has free Legal Aid type services. It has been my experience that most of these types of free attorney tend to know family law or criminal law, but you won’t know until you try. You might find one with some IEP experience. Don’t choose just based on price. If your money is tight, don’t go with the lowest price attorney if in your heart and your gut, you just don’t feel like it’s a good fit. Yes, price matters, none of us has unlimited budgets. But price isn’t everything. You may hire a $2000 attorney because you can afford it, but you lose….or pay $4000 and win. Paying more doesn’t guarantee a win…just make sure that they attorney is a good fit for your family, not just the price. Call your state’s Protection and Advocacy agency. See if they know of low or no-cost special education attorneys. If they do not, ask if they know of other agencies who might know. Call your Arc, call everyone. Call every disability advocacy agency in your area and ask. Ask other parents. Exhaust all of your networking resources. Borrow the money. Keep in mind, this problem is not likely to go away any time soon. Ask your employer about options. Can you borrow against future pay? What about overtime? Read your employee handbook, there might just be some services you can get as a benefit that you are not aware of, including legal services. Hold a fundraiser. I’m not really a fan of everyone and their brother starting a GoFundMe for every little thing….but sometimes there are valid reasons to ask others for help. Consider other options. What is the cost of what you are asking for, for your child? Does it make more sense to just pay for it, instead of the attorney? Ask about scholarships and payment plans to private schools. Ask and see if your insurance covers it. How else can you get what it is you are seeking, without getting it from the school? Most of the things that you would do to try to afford an attorney, you could/would do for an advocate. However, the chances that you will find a non-profit agency that has free or low-cost advocates are greater than finding a free attorney. So make sure you exhaust all resources and just Google your heart out. In both scenarios, you can learn to do it yourself and be your child’s own advocate and go Pro Se for Due Process (represent yourself). Both will take a considerable amount of time. Wrapping up, of course this is something I wish we didn’t have to do. I often joke that “Special Ed Advocates are people who truly wish that their jobs would become extinct!” and I mean that. I wish that there was no need for this. But there is. Good luck to you and join our Facebook group if you have any other questions. « 12 steps to take when your school is not following the IEP.